Offers include free Protect America equipment such as motion detectors, door sensors, and window sensors. $0 in up-front costs. Headquartered in Austin, Texas, Protect America provides self-installed home security systems, monitoring services, and automation solutions, and has serviced nearly half a million homes since 1992. Protect America's monthly fees range from $19.99 to $42.99, and the company provides free equipment with its security services, including a control panel, motion detectors, door sensors, and window sensors. With an exceptionally low monthly monitoring fee, free equipment, and no upfront fees, Protect America is the leading home security company in the industry. The company has the highest overall rating in the home security industry as well as a quality star rating from consumers. Protect America is one of the most trusted and high-quality security solutions we've seen. Read the company highlights and see Protect America reviews from real consumers below. Protect America's monthly fee ranges from $19.99 - $41.99. With said prices, the yearly cost ranges from $239 - $503. Protect America's complete cost over the course of the 36-month contract ranges from $719 to $1,511. This price includes 24/7 monitoring, no installation or equipment fees, a price match guarantee, and a locked-in rate. Customers who purchase Protect America's basic home security package will pay $19.99/mo, and customers who purchase the more advanced package with cellular monitoring and remote access to their system will pay $41.99/mo. The higher cost for the cellular monitoring is due to the increased services and features available (such as remote control of a security camera, real-time alerts from motion sensors and other home automation features) that are not available with landline monitoring only. $41.99/month for added features and cellular monitoring is still a competitive price and one of the most affordable offers out there. Compared to other do-it-yourself solutions, Protect America prices are very low. Most self-installed security system companies who offer free equipment simply make you pay for it in the form of high-cost monthly monitoring services. This isn't the case with Protect America. The free door and window sensors have a 5-year battery life and can be quickly and easily self-installed. The wireless sensors have a horizontal coverage range of 25 feet and can detect movement by intelligently sensing head emissions (though they are pet-friendly, ignoring movement from objects 40 pounds or less). Protect America equipment cost is completely free and is known for its high quality, beating out the majority of the home security company's competitors. Unlike many other home security companies, Protect America does not charge installation fees. When you sign up for their services, you don't have to risk a burglar targeting your home before you can afford the cost of home security installation. You can get Protect America's protection right away. Protect America's home security system is a do-it-yourself solution that takes less than one hour to set up. DIY security systems are convenient because it allows consumers to skip pricey and lengthy professional installations. Many home security providers require a costly professional installation and can take weeks to set up a date and time that works with the customer's schedule. Customers are also likely to be more familiar with the security equipment since they are the ones setting it up. Many Protect America reviews below reference the quick and simple installation as a major benefit and relief. Protect America has a mobile app that gives you control of your home security system from anywhere. From monitoring your entry points and controlling your appliances (garage door, thermostat, lights, & other appliances) to getting 24/7 access to live video of your home, you can stay apprised of your home security at all times and manage your security system with ease. Lastly, the app gives you notifications of any security alerts you need to be aware of, such as suspicious activity or system malfunction. The August Lock is a smart lock you can control and monitor from anywhere at any time with the Protect America app. The door lock works with single cylinder deadbolts and similar to other Protect America security equipment, you can easily install it yourself within minutes. With Protect America's door sensor and smart door lock, you never have to worry about someone entering your home through the door without you knowing, and you don't have to panic when you forget to lock the door; you can track any activity at your doorstep and remotely lock and secure your door immediately with the Protect America app. This also means you don't have to carry around a home key because you have access to keyless entry with your smart lock. The August Smart Lock Pro is also compatible with Siri, Alexa, and the Google Assistant, so you can use any of these devices to control your smart lock that way if you prefer. Additionally, the August Lock works with Z-Wave Plus systems as well as Bluetooth. Through the use of your Protect America app or your security system panel, you can remotely open and close your sectional garage door. This makes it simple to come and go quickly and ensures you can close or open the garage door if you need to while away from home. Your home never has to be left unprotected. The Z-Wave technology module allows you to turn the lights on and off throughout your home as well as gives you the capability to dim them. You can do this through the Protect America app or through a web browser. This wireless control gives your home automation more functionality and increased customization. Protect America's home security system is compatible with the Amazon Echo Dot, which enables you to control your Protect America home automation features with the use of your Amazon Echo. Few home security companies provide such compatibility and universality when it comes to integrating existing home automation equipment with new home security equipment provided by the company. All equipment is covered by a lifetime warranty, meaning Protect America will ship replacement parts for all defective equipment at no charge to the customer. As detailed above, Protect America equipment is also free, including one control panel, three door and window sensors, and one motion detector. Protect America's alarm system provides monitoring through landline (least expensive), broadband, and cellular communication; it's a rarity for a security company to provide all three of these warranties in the residential security system industry. This type of superior customer service is another way Protect America has set itself apart from its competition. Protect America has 24/7 live video monitoring for their security cameras. There is also a two-way voice capability service that enables communication on both ends. Read Protect America security reviews below to see what customers have to say about video monitoring capabilities. Protect America alarm system has been in business since 1992. Having a home security company that has ample amounts of experience in alarm systems and burglar & theft situations can give homeowners peace of mind that their home and family will be in good hands. Protect America has had decades to develop a home security system and alarm monitoring company that is efficient, trustworthy, and affordable. Protect America reviews are overwhelmingly positive, awarding them an extremely high star rating from consumers. Protect America reviews highlight exceptional customer service, quality equipment, simple installation, and affordable prices. Satisfactory Protect America reviews provide peace of mind that the home security company is respected by the majority of its customers. Protect America users are clearly impressed and happy with its products and services. Perhaps the least appealing feature of the alarm company for some people is its 36-month contract. However, lengthy contracts aren't unusual in the home security system industry. A somewhat lengthy contract is much more common for companies who offer low-cost monitoring fees and free equipment as Protect America does. Read Protect America reviews below to see how customers feel about the lengthy contract and the home security provider as a whole. If a customer decides to cancel their contract before the 36-month term, Protect America requires them to pay the remaining balance. However, this isn't uncommon with home security companies and Protect America offers an extremely low monthly monitoring fee with no upfront fees or equipment costs. With this in mind, the long-term contract and cancellation terms may not be a problem. With an impressive array of free equipment, affordable monthly monitoring service, zero upfront costs, and a free moving option, the Protect America security system is one of the most affordable security systems on the market today. Protect America offers an attractive lifetime warranty on its equipment, a full range of monitoring options, as well as extensive home automation features. Protect America does require a contract; However, contracts are not unusual for home security companies and Protect America prices are one of the most affordable security solutions out there. Also, you may feel more comfortable signing a long-term contract after reading the overwhelmingly positive Protect America reviews (shown below). Protect America security reviews indicate the home security provider beats out most of its competition in terms of value for the price, customer service, and satisfaction. Call our recommended rep over at Protect America below. Or you can visit Protect America website. First I would like to say, In the ten years I had the service we never had an alarm go off. So I can not speak for the monitoring service. Everyone knows the app (android) is horrid. So I will not go into detail on that. What I will tell you it's almost impossible to cancel. So far I am on my 5th day calling. It usually takes about an hour on hold before someone picks up. Than you tell them you would like to cancel. Now she has to transfer you to someone else. That is where I am right now. 33minutes and counting on hold. Like the 4 previous days they will TELL YOU THEY NEED TO EMAIL YOU THE CANCELATION FORM. It never comes. So what I am doing tonight is staying on the phone with them until the email arrives. Finally after 5 days of trying the email came thru. Tonight was not bad. 52 minutes on hold. The other nights were longer. That's about 5 hours wasted on hold with this company. Never ever ever again. Please take your hard earned money and give it to someone else. Hey Antonio, thank you for taking the time to leave us feedback on your experience. At Protect America we strive to improve our service through valuable customer insight. It sounds like you have everything taken care of, but please feel free to DM us if you need anything else! Thanks and please let us know if you have any questions! When you’re a new customer they will answer you quick, once you’re an existing customer and are having issues with your system you need to reserve a whole day just to talk to them. I was on hold for over 2+ hrs and decided to hang up no answer what so ever. Hey Lorena, we’re sorry to hear about your troubles getting a hold of us. At Protect America we do our best to reduce or eliminate hold times as much as possible. Could you please DM us with some additional details so that we can assist you in this matter? Thanks and please let us know if you have any questions! Good service, good technology but the app to control not to good. Thank you! Always nice to hear that we're doing right by our customers! Their pricing for life, equipment-ease if use, and if course the customer service is fantastic. For one it'''s a self installed system and they want to charge you as if they are a full service company. Secondly you have to apply for and pay for your own alarm permit. Lastly, if you want to cancel your service you have to pay whatever your remaining balance is for the duration of your contract. Hey Karen, thank you for taking the time to leave us feedback on your experience. While we are a self- install security company, all of our equipment is preconfigured by our security experts to match your unique specifications. It comes ready to use right out of the box, so installing is generally only a matter of affixing it in place. If you’d like, please feel free to DM us with some additional details so that we may assist you with this. Thanks and please let us know if you have any other questions! There are no concerns on company's part though two of our sensors are not working.There are no personal visits. Not even one time. No telephone calls. This puts us off. Hey Kashyap, we’re sorry to hear that your sensors are malfunctioning. At Protect America we certainly want to correct any issues you might be having with our service! Could you please DM us with additional details so that we can assist you with these issues? Thanks and please let us know if you have any questions! My system is not installed the way it should be and I am not using the features as intended. I am not a tech person so to expect me to be able to install and use a system with a phone call is not very realistic. Hey Kele, we’re sorry to hear that your equipment is not working as expected. At Protect America we have all of our equipment preprogrammed by our security experts to match your specifications. It should work out of the box without any need to tweak the settings. Could you DM us with some additional details so that we can assist you with your setup issues? Thanks and please let us know if you have any other questions. Reliability, convenience, fair price, are the things that stand out with my experience with Protect America. The customer service and the product are excellent. Terrible service and terrible plans. You don'''t save money with them, it costs more. Because it is very difficult to get to a customer service during business hours and after hours for non emergency needs. Hey Sardia, we’re sorry to hear that you have had a difficult time getting a hold of our customer care team. At Protect America we strive to eliminate hold times entirely and make it as easy as possible for our customers to get assistance. Would you mind direct messaging us some additional details so that we can get someone to help you with any issues you are experiencing? Thanks and please let us know if you have any questions. Alarm has went off on a couple occasions and I was never contacted that the alarm was activated. Also, there was a malfunction with the box and the screen wasnt working on a Sunday so I was unable to leave the house until Monday because technical support is only available Monday through Friday during normal business hours. Hey Amber, we’re sorry to hear that your equipment is not communicating properly and that your panel screen is malfunctioning. Our customers’ peace of mind while we protect their home is certainly our priority and we certainly want to correct any issues you might be having with our equipment. We do encourage regular testing of our equipment to make sure everything is working properly. Would you mind direct messaging us with additional details so that we can help resolve these issues? Thanks and please let us know if you have any other questions or concerns. They don't have anyone to install for you. Installing yourself is easy but the motion detector is difficult. Great customer service everyone was helpful and kind. Your app needs to be upgraded to world class app. Hey J, we appreciate you taking the time to leave us feedback. While our premium professional monitoring rates may seem a little higher than some of our competitors various plans, we do offer up to $1400 of free equipment up-front, a locked-in rate, and a price match guarantee. Also, all of our equipment is preprogrammed by a security expert to match your unique specifications before shipping it, making it ready to use right out of the box. Please feel free to direct message us or give us a call and we can get you our latest offer. Product is unreliable and control panel is difficult to use. If i had known how difficult it is, i would've never signed the contract, now i'm tied in for 3 years-- it's so bad i'm even considering paying the remainder of my contract just to move on. i'd rather go w/ something more user friendly like Nest or Simpli Safe. Hey Jane, we’re sorry to hear that you are having issues with our panel. At Protect America we have our security experts preprogram all of the equipment before shipping it. It should work as expected right out of the box. Could you DM us some additional details so that we can assist you with your panel? Thanks and please let us know if you have any questions. To push, I asked to be removed from call list 5 times on one 6 hour period. Hey Ken, we’re sorry to hear that our sales solution representative was too pushy. Our sales solutions specialists are passionate about our security solutions - nevertheless we do respect when you don't want to hear from us! You can also request to be added to the do not call list via our website. Thanks and please let us know if you have any questions! Because I called to get a price quote. But instead of asking me what I wanted the salesman wanted to tell me all about how great the company was and how important security was for my home. After several minutes I just hung up because the guy would not stop talking and I was calling on my lunch break. Like most people who can afford a security system I am a working professional with little time for chit chat. I had already researched the company and found them acceptable. I didn't need a sales pitch I needed product and installation information along with cost. I decided as he talked that I didn't need the product from Protect America after all. Hey Rebecca, we’re sorry to hear that a sales solutions specialist did not respect your time on the phone! At Protect America we strive to offer a friendly and enjoyable experience on the phone. If you’d like, feel free to DM us here if you have any questions, thanks! What interaction? I've had no contact with them since I sent in a request for information and for someone to contact me. I believe that was over a week ago, maybe two weeks - I don't remember at this point. Hey Bruce, we’re sorry to hear that no one reached out to you with information! At Protect America we strive to continuously improve our response rate. If you requested information via email there’s a pretty good chance that the email ended up in the spam folder. Please feel free to DM us or give us a call if you have any questions! they have called me 3 times a day EVERY DAY -- 2 rings and hang up. No message ! Hi there, thanks for taking the time to leave us feedback. Our sales solutions specialists are passionate about our security solutions - nevertheless we do respect when you don't want to hear from us! You can also request to be added to the do not call list from our website. We would love to help get you set up with a security system. Please feel free to direct message us or give us a call and we can get you our latest offer. After 30 years with ADT, and it's predecessor companies (Brinks, etc. ), I switched to Protect America, Inc. Similar service at half the price. Helpful, Professional and knowledgeable employee Kimberly, helped with initial set up.. Protect America provides value and quality of security. The system hasn't failed me yet. Anytime I've ever had a problem they've always been there to answer my questions and they're courteous, consummate professionals. It's much more inexpensive than the system we had. If we have a little problem, customer service walks us through it. I like the security because it's not anything that interferes with the way things work in your home. You have it but it's where you don't even know you have it, there are no wires and things around. They're reliable and the system is very convenient. They walk you through what to do to set it up over the phone. Customer service has always been able to answer questions in a timely manner and help with any problems that we've had. The security camera we have is kind of hazy and not the best quality. Everything else is fine. I like that they have an app. Pretty much everything has worked and right now it logs all that stuff just for the security and that everything is working. I like that it's wireless, no landline. Customer support needs to be more reachable. If I call into the company I can never really get ahold of somebody and am always put on hold. It's always coming off the walls and I think it's a little more expensive. They are really not helpful and do not follow through with the commitment. The things that go on the doors keep falling off. They locked me into a contract. Hey Arshad, we’re sorry to hear that we fell through on a commitment and that you are having trouble with our adhesive strips. At Protect America we put a lot of effort into responding to all of our customers concerns and we certainly want to resolve any issues you might be having. Could you please DM us with some additional details so that we can assist you with this? Thanks and please let us know if you have any questions. Never any problems. They''re very reliable. Not very good or complete communication when there is a foul up with equipment. Hey Michael, we appreciate you taking the time to leave us feedback on your experience. 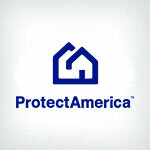 At Protect America our customers’ peace of mind while we protect their home is certainly our priority. Please feel free to DM us with details of any issues you might be having so that we can assist you with them. Thanks and please let us know if you have any questions! Our alarm actually went off and we received absolutely no phone call to see if it was actually a home invasion. We also get no correspondence from this company unless our bill is past due. I don''t feel completely confident that this company is actually monitoring our home. We''re just throwing money away. Hey Nellisha, we’re sorry to hear that your equipment is not communicating properly. Our customers’ peace of mind while we protect their home is certainly our priority. We do encourage regular testing of our equipment to make sure everything is working properly. Would you mind direct messaging us with additional details so that we can help resolve these issues? Thanks and please let us know if you have any other questions or concerns. Hey Perry, we are sorry to learn about your troubles with faulty equipment. At Protect America we certainly want to get any bad equipment replaced as soon as possible. Would you mind direct messaging us with some additional details so that we can assist you with these issues? Thanks and please let us know if you have any questions! It does not work effectively. Lots of error. Cannot trust. Hey Ravish, we’re sorry to hear that your equipment is not working properly!! At Protect America we want to resolve any of our customers’ issues as soon as possible. We also try to encourage regular testing of our equipment to avoid these unfortunate situations. Could you please DM us with some additional details on this so that we can assist you? Thanks and please let us know if you have any questions or concerns. Protect America has met all our security needs, and then some. The alarm is at my 82 year old Mom''s house. The first couple months she set the alarm off while learning the system, but the staff was always very understanding when I cancelled the alarm. Mom''s system also came with a medical alert button. Just last week we used it to get the paramedics to her house. I was extremely grateful for that service. I absolutely love having the app on my phone so I can see when my mom turns her alarm off and on. My Florida house was severely damaged by Hurricane IRMA - and these guys would not defer the contract payments while we rebuilt. So I have paid a monthly premium since Sept of 2017 for an off line system. In my NY house - the sensors fail on a regular basis. The only good thing these guys do is send me constant e-mails that remind me their crummy sensors have failed. Hey Robert, we’re sorry to hear about the hurricane damage :(. Also, we definitely want to resolve any issues you might be having with our service or equipment! Would you mind direct messaging us with some additional details so that we can assist you? Thanks and please let us know if you have any questions. If you log into the camera it stops recording. Therefore I didn't get the footage of someone breaking into my garage. Also, the equipment will just stop working requiring me to call in to get them to reset it. Hey Tammy, we appreciate you taking the time to leave us feedback on your experience. At Protect America we want to resolve any issues our customers might be having with their equipment. If you’d like, could you DM us with some additional details so that we can get you some help with these issues? Thanks and please let us know if you have any questions or additional concerns! Over priced and unreliable. They called everyone one in my family and never contacted the police even after they could not get a hold of me. It was an actual emergency. Also, I didnt live in my house for 8 months after burst pipe. They couldn't help, provide discount, replace anything and I still had to pay with the system not working. They could put it on pause or anything. Once I'm out this contract I'm done. Hey Ivy, we’re sorry to hear that our products didn’t work properly during an emergency! At Protect America our customers’ peace of mind is certainly our priority. We do encourage our customers to test their equipment regularly to combat these unfortunate situations. If you’d like, could you please DM us with some additional details so that we can get you some help with your equipment? Thanks and please let us know if you have any questions! Hey Richard, we’re sorry to hear that your Velcro strips aren’t sticking!! At Protect America we would like to correct any problems you might be having with our service. Could you please DM us with some additional details so that we can assist you with this? Thanks and please let us know if you have any questions.